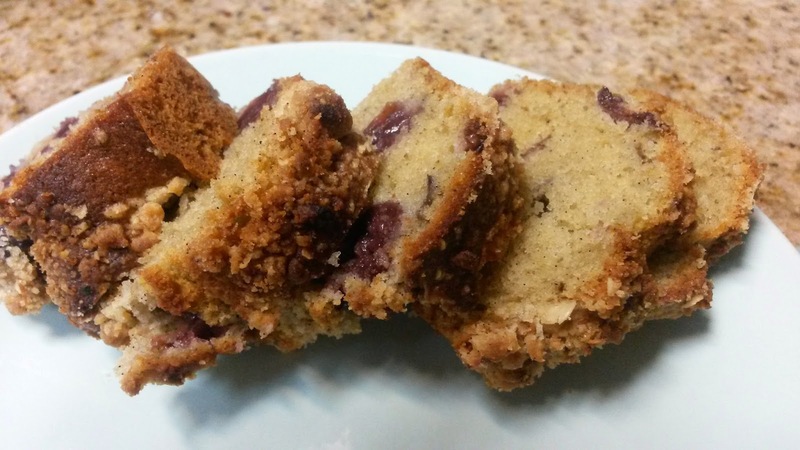 This coffee cake is full of Delicious Contrasts! I was having my daughter's playgroup and I came up with this for a snack. No, not a snack for the children; they can have orange slices and goldfish crackers. The real reason I take my toddler who really doesn't want to interact, share, or take turns to these outings is so I can have a moment to interact, share, and take turns with my friends. 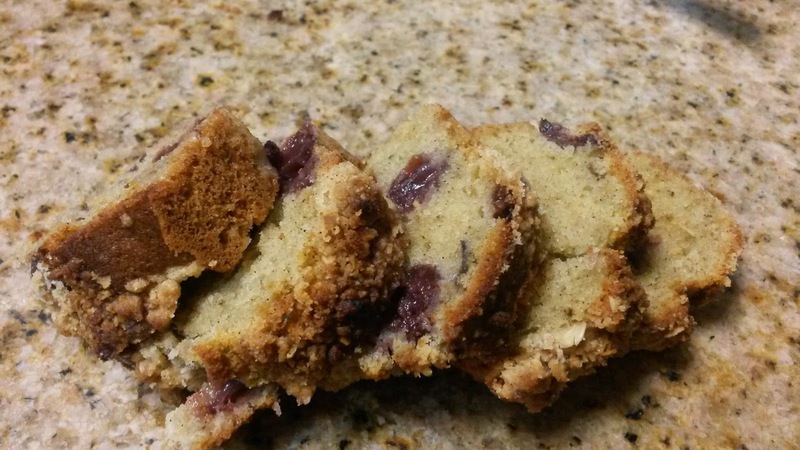 I decided to make this into mini loaves instead of doing it in a baking dish and it turned out great! I am obsessed with order and with cooking one part of order is making the most of the time I have. Basically, I don't like to have time where something is mixing or cooking and I am waiting. The reason I bring this up is that in most recipes for baked goods the first instruction given is to mix all the dry ingredients. Problem is, why not do that while my butter and sugar are creaming? I know that not everyone has a stand mixer and in that case you would have to be present over the mixing bowl holding the mix-master, but if you do have a stand mixer there is a much more time efficient way. I begin by getting out all my ingredients. I then start the butter and sugar creaming. It is best to let it cream for up to five minutes, so during that time I measure out all my dry ingredients in a separate bowl and whisk them to mix. I then set this bowl aside. 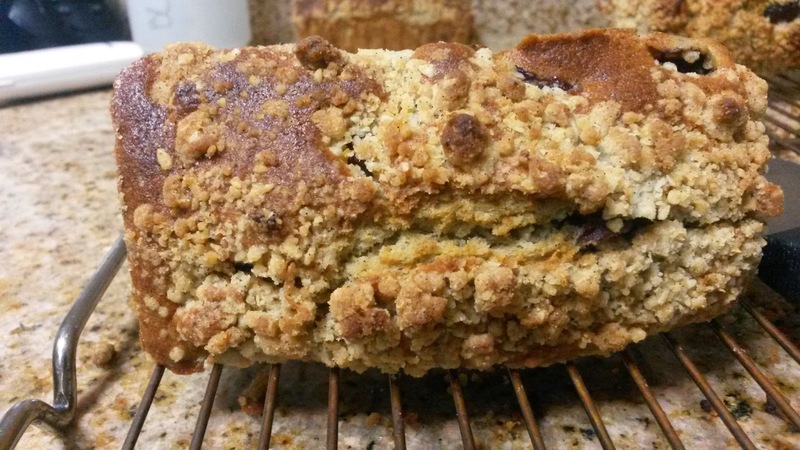 At this time, you could also make the streusel topping and then set this aside for later. Next, I start to add my eggs, one at a time, scraping down the bowl after each addition. For this recipe, I would then add the sour cream and vanilla. I add the dry ingredients to the creamed mixture and then mix slowly until just incorporated. 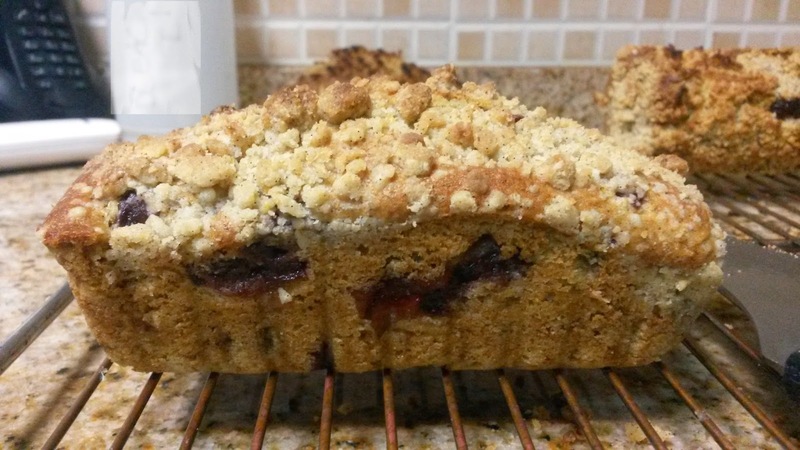 Finally, gently fold in the cherries, pour into the pan, top with streusel and bake. I am asked quite often how I have time to make so much so quickly. Some of this has come from instruction and practice, but mostly it is from knowing what can be done in a way that uses my time in the kitchen efficiently. I hope to share these ideas with all of you and that it will help you have a desire to get in the kitchen and play.